We often say that the restored Gospel is true. I believe it is. However, many Latter-day Saints (including me) have reasoned and articulated that the Church — full of flawed people and history — is not. That is, the Church itself is not true. Not absolutely true. At least not as true as the Gospel. Can the LDS Church be true? What about a sandwich? In an on-line discussion this evening I stated that I believed the LDS Church was true. An ex-Mormon responded that I would quickly tire of him telling me that his sandwich was true. Another said I was an arrogant @%$. I told this first fellow that his sandwich might be good, bad, average, gross, or extraordinary. But we don’t usually characterize things like sandwiches, apples, or bubblegum as true. True relates to something being valid, actual, based in reality, etc. 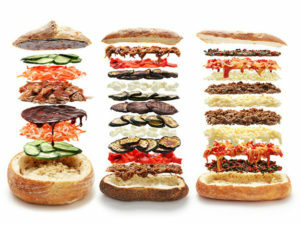 So, sandwiches can’t be true. But churches, certain principles, and other discernible things can be true (or false). I told the 2nd fellow — who called me an arrogant @%$ — that we don’t have to agree. We don’t have to agree on politics, sports, our interpretation of Science, or religion. But it is possible that my religious views are correct without my being arrogant or a jerk. Just as it’s possible my views on sports may be based in fact, and therefore I might be correct in my views on that topic. It simply isn’t true that to hold beliefs others disagree with makes you a bad or arrogant individual. One simply must look at the merits of the beliefs. Are they true beliefs? Based in fact? 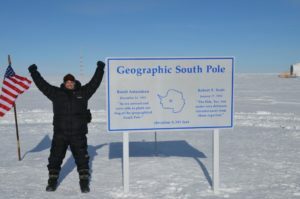 I didn’t say people from the South Pole are always bad. That would make me a jerk and perhaps an @%$. Instead, I made a religious claim. I have many reasons for believing the way I do. He doesn’t. Fine. Our difference of opinion makes neither him nor me a jerk. We simply disagree. You’ll have to trust me that I was trying to be nice, thoughtful, and persuasive — and not arrogant — in a spirited discussion. So, unlike claiming a sandwich is true, it is completely rational to say that the LDS Church is true. 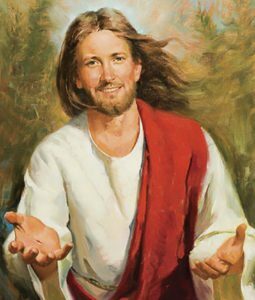 After all, I believe Joseph saw angels, had plates, translated the Book of Mormon by the gift and power of God, and restored the Gospel. I shared w/ these critics a few synonyms for true (see below) that make the expression easier to handle in many cases. I personally don’t prefer the one-sentence answer: “The Church is true,” though the sentence itself is true. We might want to mix in other words such as accurate history, what really happened to Joseph and the witnesses, etc. in accordance with fact or reality. Respect and appreciate other faiths. Allow tension, but work against imbalance. If we’re gonna compare (ourselves to other faiths), then let’s be fair. Leave room to admire other faiths, something Mauro calls “holy envy”. We are special people, but not that special! Be clear, saying “yes” and “no” when discussing differences. God loves all His children! Welcome all the good that others have, & we’ll work to add to that which they bring to the LDS Church! Great discussion right in line with the title of this blog! Click here to listen to this LDS Perspectives Podcast, Episode 32. If you haven’t subscribed to this podcast series consider doing so. Laura Hales (today’s interviewer) and her team produce 1 podcast once a week for 45 minutes. Just yesterday a friend of mine claimed that it’s arrogant to say you’re the only true church. After all, he said, other faiths say the same thing. We debated for some time, reaching no agreement. I thought I’d YouTube the question. Among other things I found, I liked the video below. I shared it with my friend who hasn’t yet commented on it directly. Alvin Carl Plantinga is an American analytic philosopher, the John A. O’Brien Professor of Philosophy Emeritus at the University of Notre Dame, and the inaugural holder of the Jellema Chair in Philosophy at Calvin College. He is a Protestant and considered by many to be America’s leading Christian philosopher. Plantinga explains that, according to his view, only one faith can be correct. And it isn’t true one is arrogant to believe this. I agree with Dr. Plantinga’s arguments. 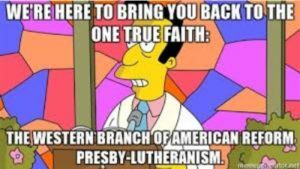 I disagree, however, that Protestantism holds the Gospel’s fullness. 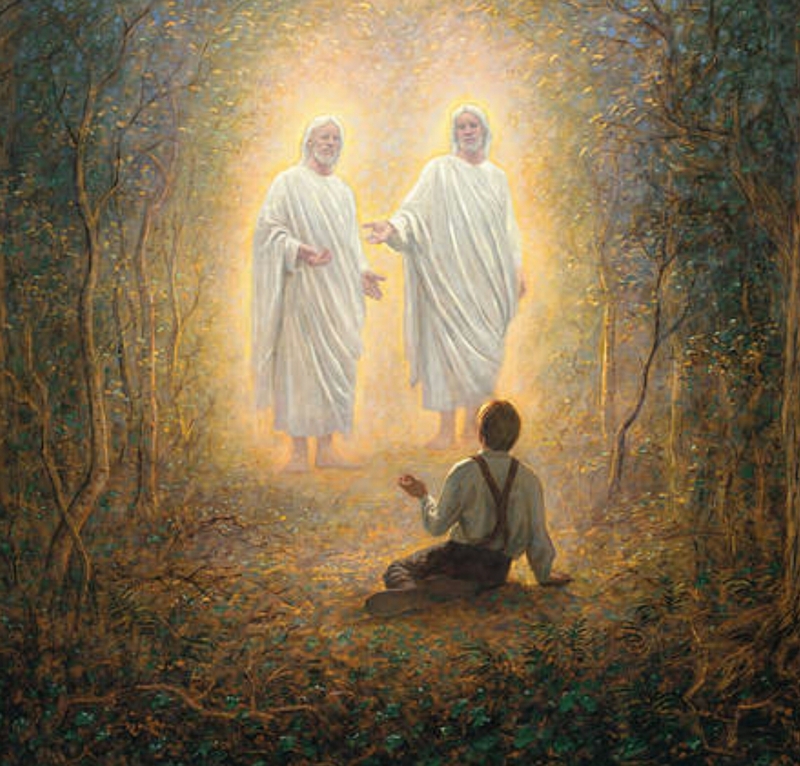 I believe Joseph Smith restored the fullness of Christ’s teachings through gradual development and miraculous visitations. Finding a balance between loyalty or commitment to one’s faith and sympathetic openness to other faiths is one of the biggest challenges Mormons face in an age of inclusiveness. Truth is found in all faiths. But priesthood and keys are only found in the restored church. How can I know that spiritual experiences are not just a product of brain chemicals? 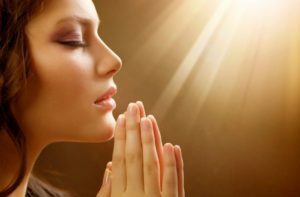 Some critics state that all people have religious experiences that they report as true. They, in fact, state they’ve felt the Holy Ghost. Now what? I say, do you feel it’s fair that only Mormons feel the Holy Ghost? No, we’ve never taught that. We know the light of Christ is felt by all. Gifts of the Spirit aren’t unique to Latter-day Saints. When folks of other faiths feel the Spirit we should be glad for them. We hope they would consider investigating the LDS Church. As Plantinga points out above, many of our positions can’t all be true. I believe Jesus when he said he was the way, the truth, and the light. One path gets us back to the Father, despite all the goodness and truth found in other faiths. Why do we claim to belong to the true church? The fulness of the Gospel was restored. The power of the Priesthood was restored. We have a restored testimony of Jesus Christ, his true nature, and purposes. “Sometimes we do this in a way that gives great offense to people who belong to other churches or who subscribe to other philosophies. But God has not taught us anything that should cause us to feel superior to other people. Click here to read complete talk. We believe the priesthood and associated keys were restored to Joseph Smith. 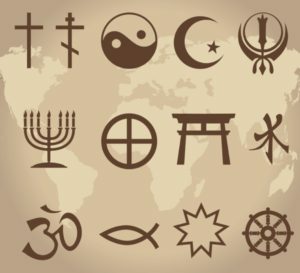 However, unique truths and perspectives are found in every faith and people on earth. No one organization has a monopoly on goodness or truth.